6 full sized A4 sheets of quality translucent PINK edible wafer paper (rice paper) great for making edible flowers or other decorations. Each pack has 6 A4 sheet(s) of edible wafer paper (rice paper) in beautiful packaging. Our translucent pink edible wafer paper (rice paper) is just great for pretty pink peonies, perfect petals and lots lots more. If you want the BEST edible wafer flowers then you need our edible wafer paper. This pack contains 6 A4 sheets of edible wafer paper (rice paper). You can purchase the same product in retail packs of 12 sheets or 3 sheets. If you need a larger quantity then we can supply excellent value bulk packs of 100 sheets. 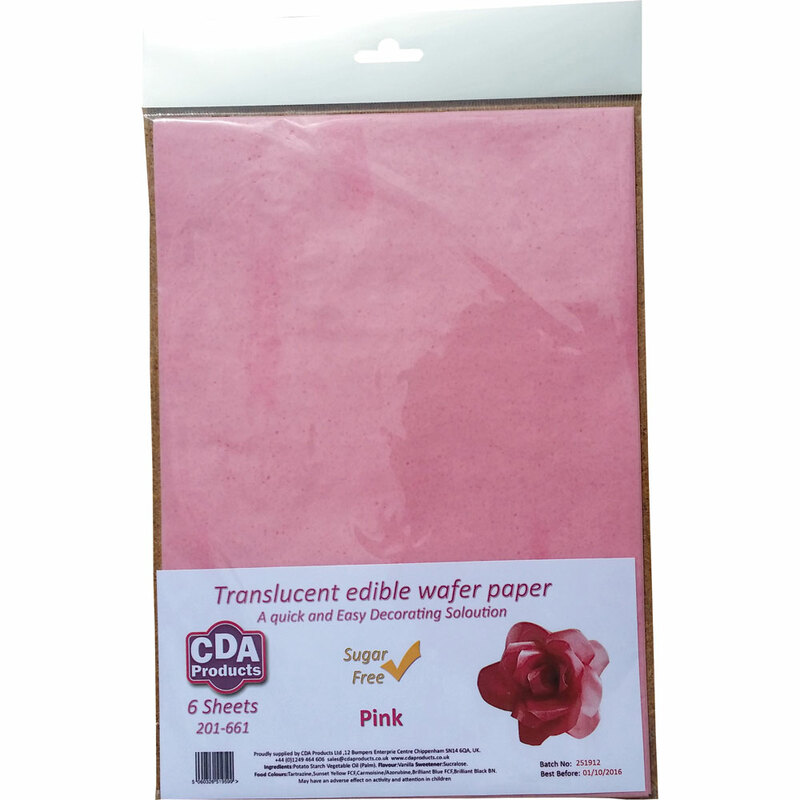 CDA Translucent Wafer Paper (rice paper) is most probably the best wafer paper in the world. Our top quality wafer is enhanced with superb but mild strawberry and vanilla flavours - a favourite with everyone.